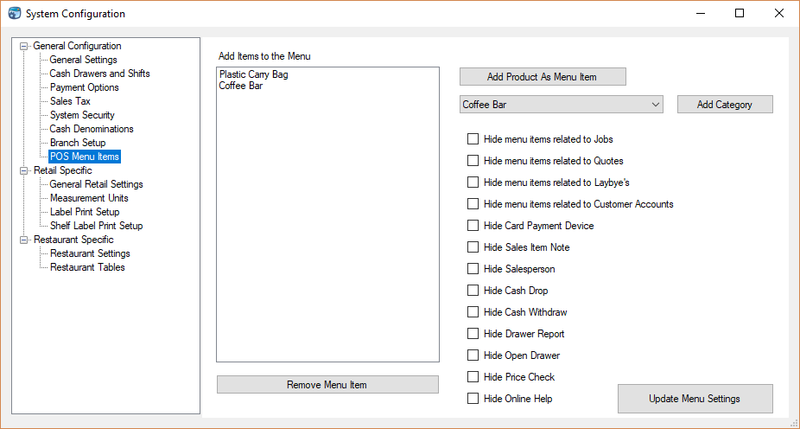 The POS menu can be opened from the Menu button in all the POS Modules (Retail, Restaurant, Workshop). The menu options can change depending on whether a sale is selected or not. The menu can also be customized. 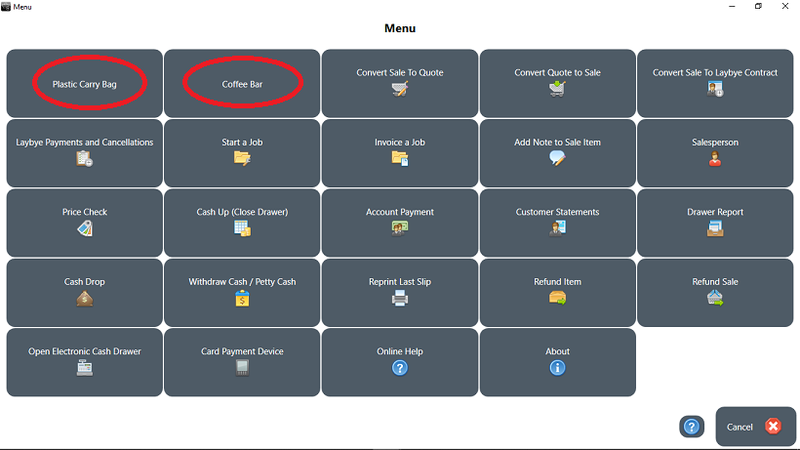 To change the menu go to ROBOTILL Manager > Setup > System Configuration > General Configuration > POS Menu Items. You can customize the menu by removing buttons you don't need. You can also add product or category buttons. A product button will be something that is often used like carry bags for a retail store. A category button will add all the items of that category. The user can then easily select one of the items in that category. An example would be drinks from the coffee bar (as those items would not have barcodes so adding them as a menu item would make sense). If a product button is pressed, the product will be added to the current sale. If a category button is pressed, the product selection screen for that category will open. The cashier will be able to add multiple items from the category to the sale. 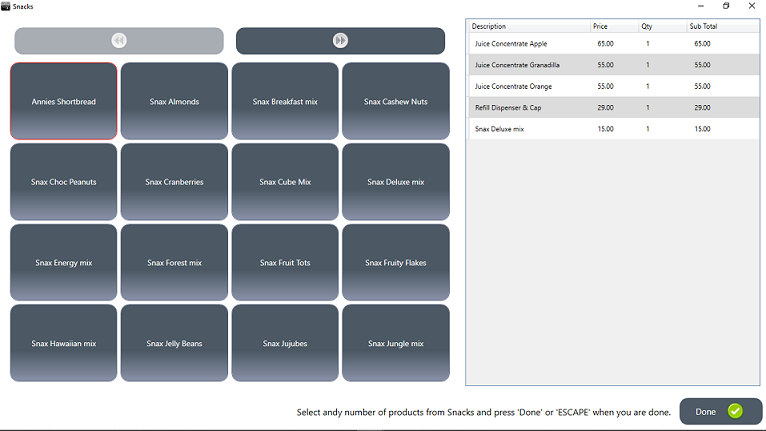 Once all the required items has been added, the cashier can click on the 'Done' button.